If you live somewhere with four seasons, you’re likely already bracing yourself for winter. Crisp temperatures, early sunsets, and an overall chill quickly take hold once these months arrive, but your wardrobe doesn’t have to reflect this gloominess. In fact, what better time to infuse your outfits with a poppy print or, in today’s case, winter white than when you need it most? Though you probably shouldn’t wear your summer whites when it’s cold (i.e., lace dresses, eyelet blouses won’t work), there are still plenty of offerings in cold-weather fabrics and textures. 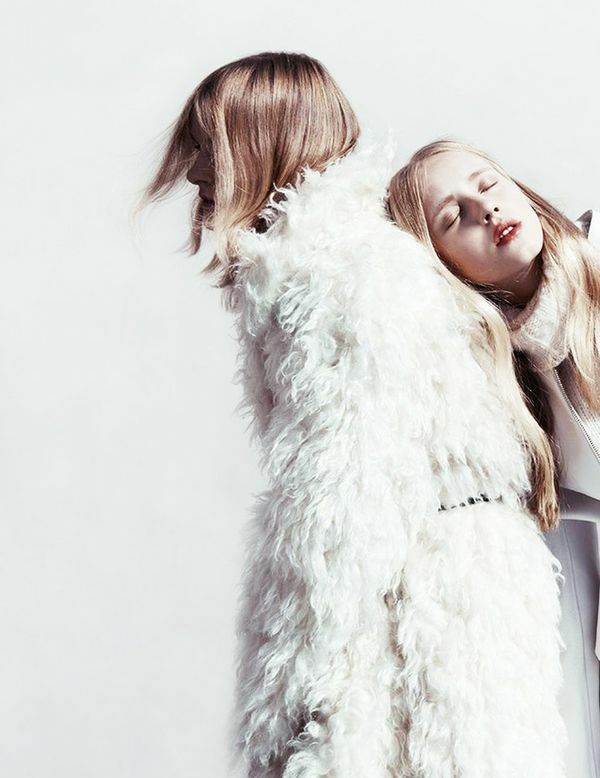 From street style to fashion editorials to runway looks, see below for 29 inspiring ways to wear winter white this season, and then head over to our editor-curated boutiques to pick up a frosty jacket or dress for your wardrobe. 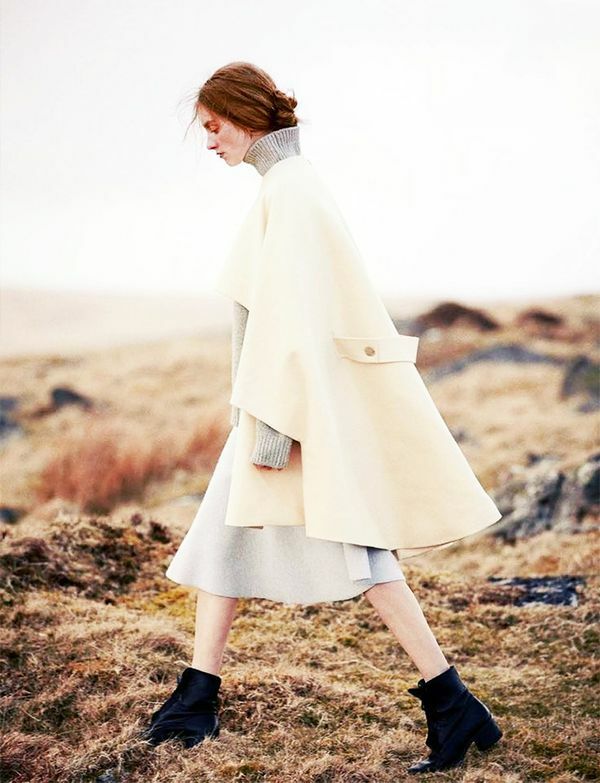 Contrast your darker neutrals with a cream-colored long coat for women. Eva Chen’s cheerful outfits never cease to lift our moods, and this furry coat–and–white jeans combo is no exception. Those iridescent sneakers aren’t too bad, either. 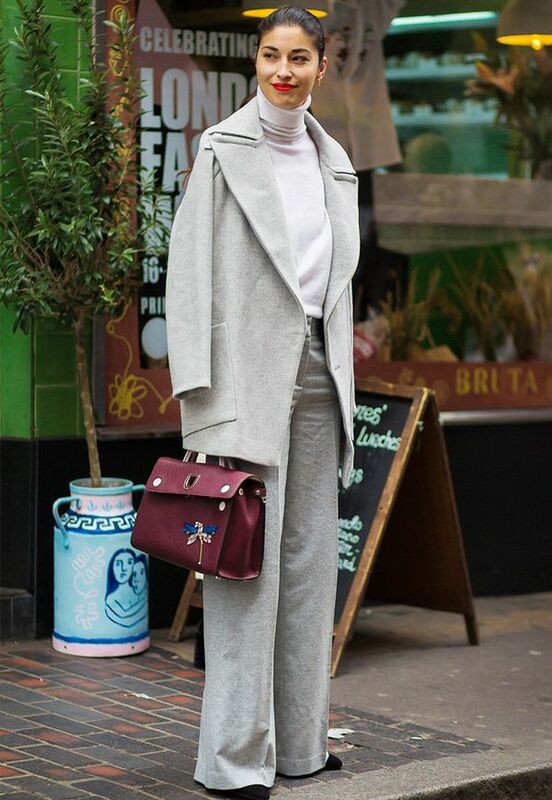 Come winter, you may be tempted to stick to a pants-only wardrobe, but Pandora Sykes proves playing with proportions can have a major payoff. Who said cozying up at home in a white turtleneck isn’t an outfit? Certainly not us. 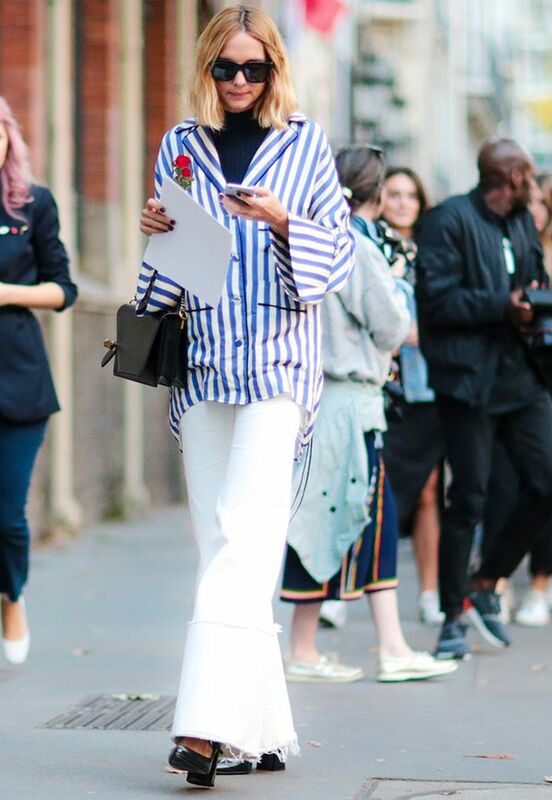 If you plan on wearing head-to-toe white, follow Sonia Rykiel’s lead and choose pieces in different shades and textures of white. Repurpose a white dress traditionally reserved for spring, and layer a long-sleeve tee and tights underneath. We love the idea of letting a flash of white peek out below a toggle coat. Finish the look with snuggly accessories like a knit beanie and suede boots. We just found your New Year’s Eve outfit. 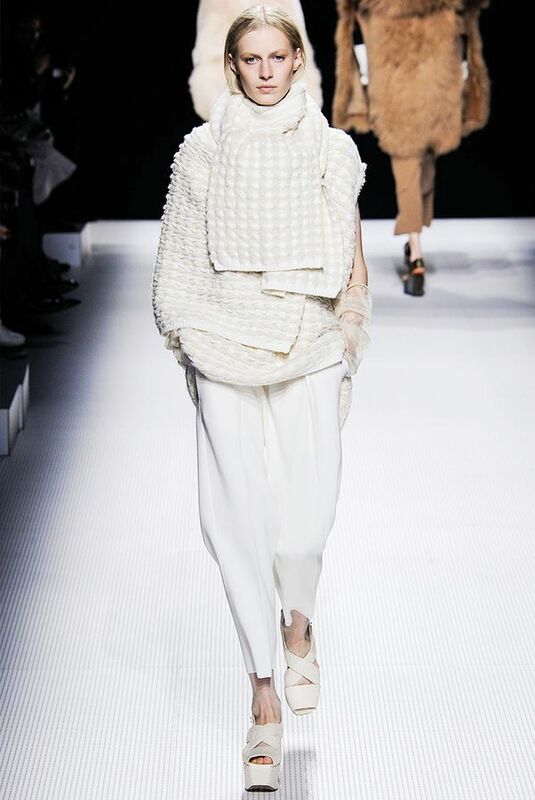 Steal the spotlight with a statement-making stole in a snowy shade of white. Keep your head and ears warm with a fluffy white beanie. It’s an instant mood lifter! When in doubt, a shaggy white coat will update your look—even if you’re finishing it off with a simple tee, jeans, and sneakers. We just gained a new appreciation for fisherman sweaters and fringe skirts, especially when worn together. We tend to reach for trousers in muted shades of navy and black, but why not invest in a white pair? It’s equally as flattering! Offset a romantic white sweater–and-skirt combination with grunge-inspired socks and lace-up boots. Drape a textured white coat over your leather moto jacket for a quick update. Jenna Lyons teamed a simple white tee with a dramatic feathered skirt for the coolest take on holiday dressing we’ve seen in a long time. 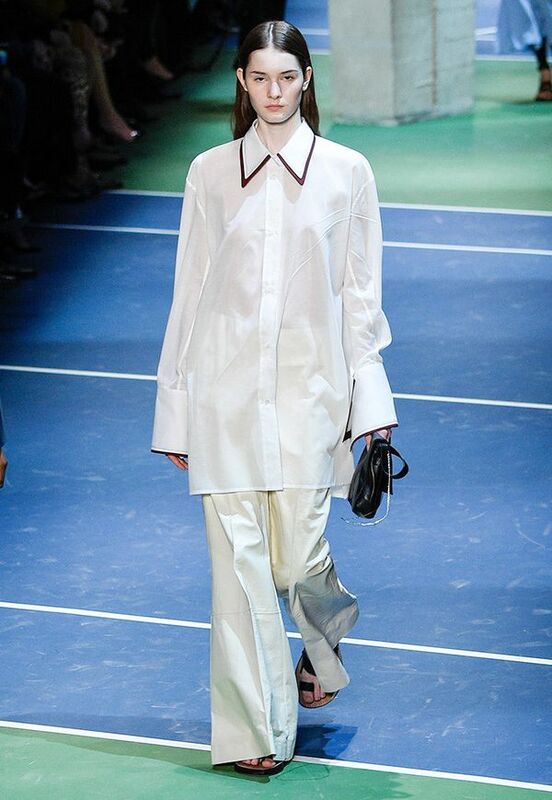 Céline’s interpretation of winter white comes in the form of a super-chic pajama shirt and wide-leg trousers. We’ll take it! If it’s a day that calls for lots of layers, keep things from looking bulky with a printed dress on top of white cigarette slacks. Sure, they may not be practical for eating a meal or texting your friends, but the extra-long sleeve look is so appealing to us. In case you needed a new way to tie your favorite sweater around your shoulders. If you’re all about the black during winter but want to experiment with a little white, follow this off-duty model’s lead and knot a white scarf around your neck. It’s the season of the stylish suit; pair yours with a thin white turtleneck. One of the best parts about winter is getting to play with textures; try a chunky knit with leather pants for an unexpected duo. If you live somewhere like Los Angeles where it’s possible to wear a skirt and tights without getting frostbite, we suggest replicating this spot-on look. Pajama shirts and white jeans are both closet items that can be difficult to style—we love how Candela Novembre put the two together with a black turtleneck and noir accessories. Layer an elegant women coat on top of a turtleneck and full midi skirt. We suggest leaving your hair tucked into your knit for an effortlessly cool finish. Button up a white double-breasted blazer over a white shirt and printed turtleneck for a very cool layered look. Complete the ensemble with straight-leg jeans, a camel-colored bag, and mules. If you’re somewhere where bare ankles are a no-no, simply add tights or a thin sock. 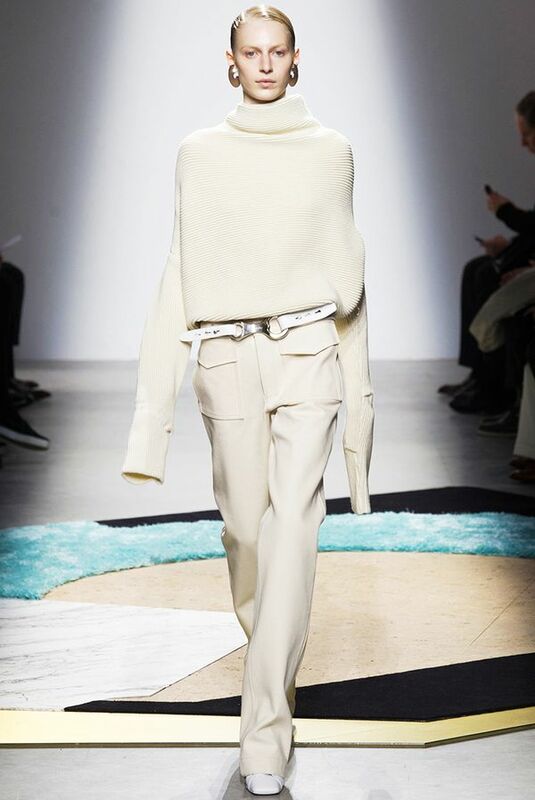 Extend the life of your white tunic by wearing it with a turtleneck and trousers. Style white denim with a statement sweater and charming mini bag for the ultimate fashion-girl look.